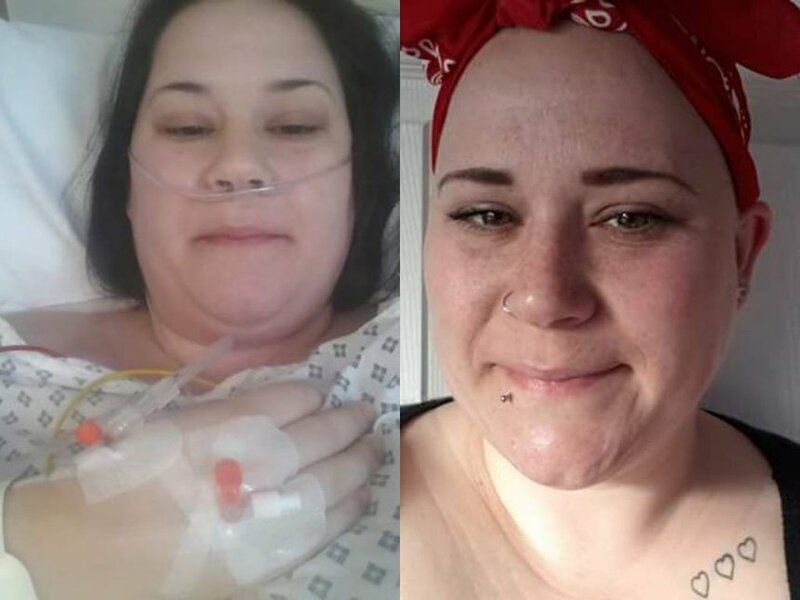 Laura Gibbon: "Had I known the symptoms of ovarian cancer I might not have left it so long before going to A&E"
Laura Gibbon's life changed forever in March 2016 when she was diagnosed with stage 3C ovarian cancer. She had been unaware that the symptoms she was experiencing were associated with the disease. "In the summer of 2015, I developed some pain in my lower tummy so I went to A&E. They suspected appendicitis and asked me to return the following day for an ultrasound. The ultrasound showed two large cysts, one on each ovary. I underwent surgery the same day and that was that. Three months later at a routine ultrasound check-up I was told the cysts were back and that they were bigger than before. Another operation to remove the cysts took place. The results from the biopsy came back and showed cancerous changes, so between the consultant, myself and my husband, we decided on a full hysterectomy due to my family history. I lost my granny at the age of 53 to breast cancer (something that has always scared me), and my mother had an ovary and fallopian tube removed due to cancerous changes. The hysterectomy went as planned. I stayed in hospital for a week and then two days later I was called back in for results of the biopsy. "Had I known the symptoms of ovarian cancer I might not have left it so long before going to A&E"
Had I known the symptoms of ovarian cancer I might not have left it so long before going to A&E. I had backache, fatigue, bowel changes, abdominal pain and bloating, which are all symptoms of ovarian cancer. Like many other people I thought ovarian cancer was a disease that only affected older ladies. I was 29 when diagnosed. I'm about to have my sixth session of chemotherapy. I have a beautiful 6-year-old boy and a gorgeous 4-year-old little girl – I'm constantly left wondering how long I'm going to be around for them. How many more times will I tuck them in at night? I want to share my story so that other women know the signs of ovarian cancer to look out for and don't have to go through the same things that I have." Unlike cervical, bowel and breast cancers, there is still no reliable, effective screening method for ovarian cancer. Ovarian Cancer Action is funding research into the development of the world's first screening tool for ovarian cancer. Find out more. Sara Le-Surf: "The symptoms feel minor and before having it I’d never really heard of ovarian cancer." Jo Beagley was diagnosed with stage 3C ovarian cancer in 2014. Here she describes how losing her hair as a result of chemotherapy took her on an emotional journey.